Founded in the 80’s by our Chairman, Mr. Seet Chuan Seng, PERTAMA is a pioneer frozen pastry manufacturer in Malaysia. Up to date, it has grown rapidly into a distinctive household brand across the region. 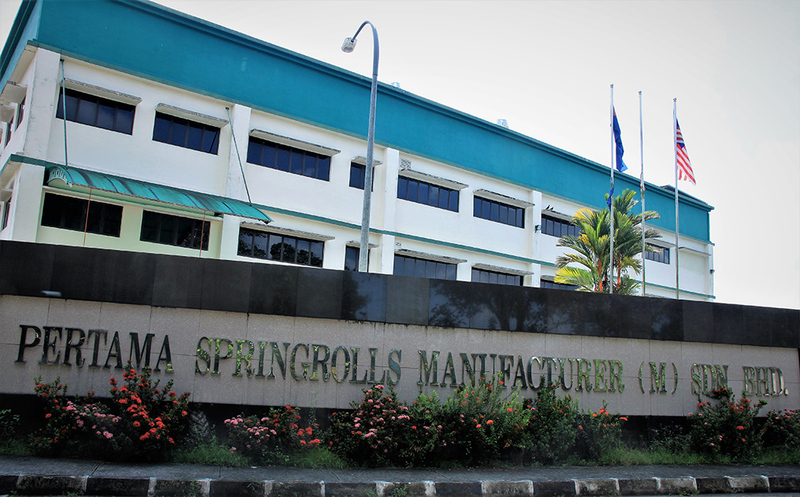 Started out in a mere shop lot in a small town of Pontian, Johor, PERTAMA has established its mark in Pontian on 2 hectares production plant and continue to grow with the present hundred of employees coping with the increasing demand locally as well as overseas market. Our pastry skin is renowned for its unique distinct characteristics of its freshness and lasting crispiness. With its premium quality, our products have gained tremendous popularity and high in demand during local festive celebration like Chinese New Year and Hari Raya Puasa. We seek for continuous effort to greater innovation each year and our latest introduction with IQF (Individual Quick Frozen) technology has brought us to another level. With this technology, we are able to maintain our products at its freshness, preserve its quality right after its produced and packed from the process line. We strive to be the market leader in the frozen food industry and our unwavering commitment to supply the best quality and excellent services to our customers. We are proud to have garnered loyal customers and industry accolades from various local and international organizations. Our distribution networks are growing rapidly locally and internationally with the strong demand of our products in the market. We welcome local and international companies who keen in partnership to grow our distribution network in Malaysia and other regions.